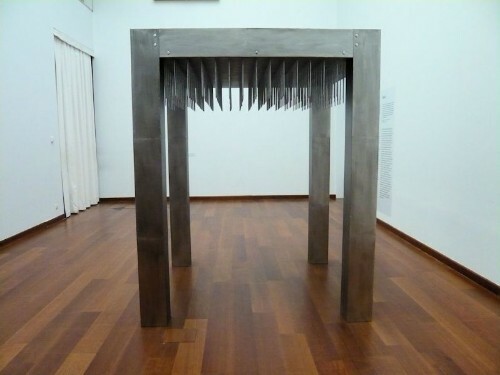 Since the first Istanbul Biennial in 1989, appreciation of contemporary art in Turkey has grown by leaps and bounds. 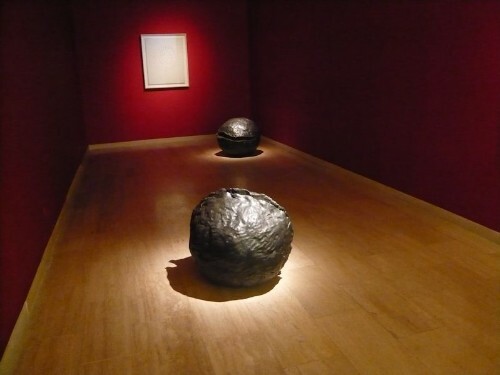 In Istanbul there are three museums dedicated to exhibiting modern and contemporary art — Istanbul Modern, Pera, and Sabancι — in addition to many galleries and art houses. 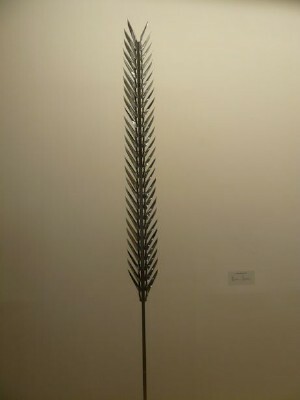 The Sabancι Museum belongs to the private university of the same name. 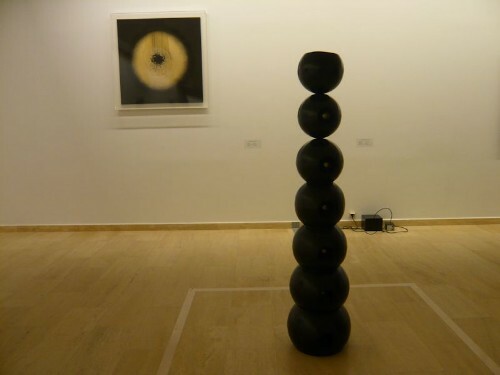 Having hosted big block-buster shows such as Miró and Picasso in the past, the museum’s Director, Dr. Nazan Ölçer, has decided to inform the student population and the general public about an art movement of the 20th century not well known in Turkey — ZERO. 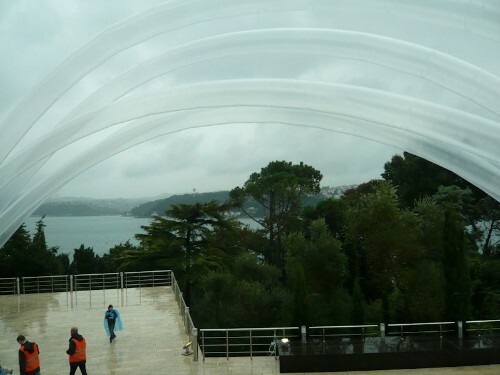 The current exhibition — ZERO, Countdown to the Future — specifically scheduled to coincide with the 14th Istanbul Biennial, is an elegant exhibition occupying the lower two levels of the museum, which is on the grounds of the Sabancι family’s former mansion, on a hill overlooking the Bosporus. As visitors approach the hill, they are greeted by Heinz Mack’s The Sky over Nine Columns, which reflect passing clouds and surrounding trees on a façade of 850,000 gold-leafed mosaics. The shimmering 7.5-meter-tall composite columns, installed on a steel platform near the museum terrace, catch the eye from different viewpoints along the Bosporus. 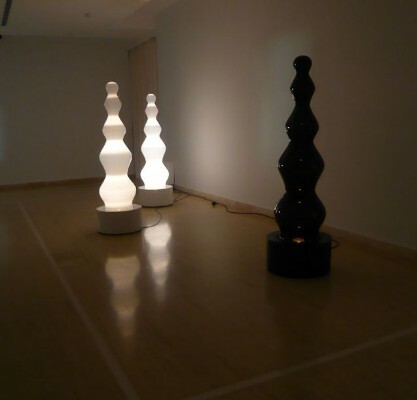 ZERO was born as a response to the devastation and pessimism which followed World War II, by using the elements of color, fire, light, movement, and performance to create a new vision for art and a new future without borders. 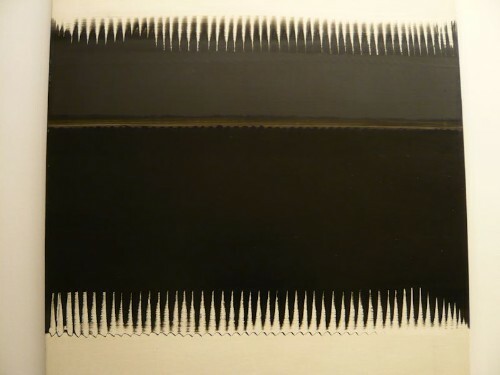 In 1957 the founders, Heinz Mack and Otto Piene, two young German artists well grounded in studies of philosophy, dreamed in Dusseldorf of a “ZERO” area that would be the foundation for new beginnings; they were joined a few years later by Günther Uecker. 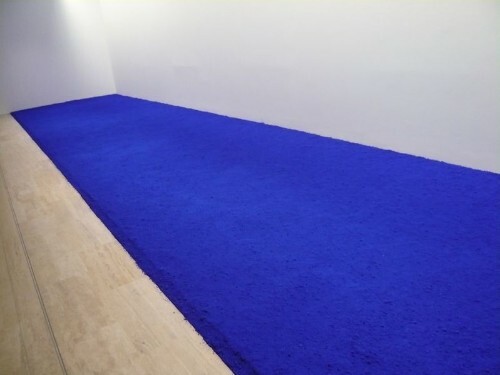 The artists’ shared vision and creative energy, which placed technology at the heart of their works, transformed into an international art movement that lasted until 1967 and still has relevance today. 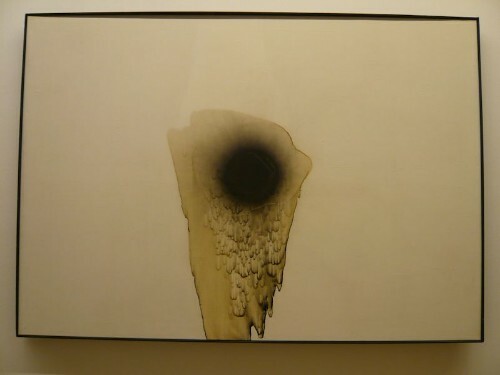 Otto Piene found “brightness by piercing darkness with light.” Examples include Fireflower, created by using soot on canvas, as well as three dimensional works such as Black Light Ballet, where light patterns emanate from a pierced revolving dark globe, and Light Ghosts, consisting of glass light bulbs turned on and off by a timer. 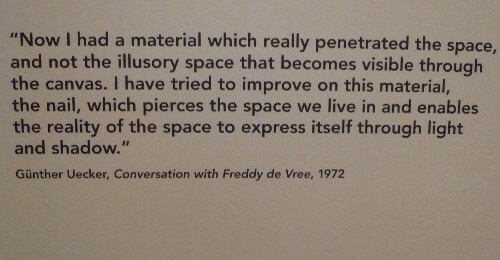 Wall texts describe the importance of color vibration in paintings by Heinz Mack and Otto Piene. 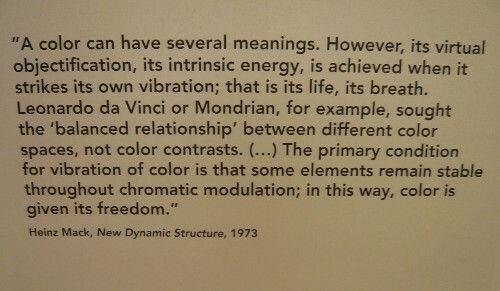 For these artists, a painting became an area of vibration where pure energy was released; instead of being anchored in place, color was “set free”. 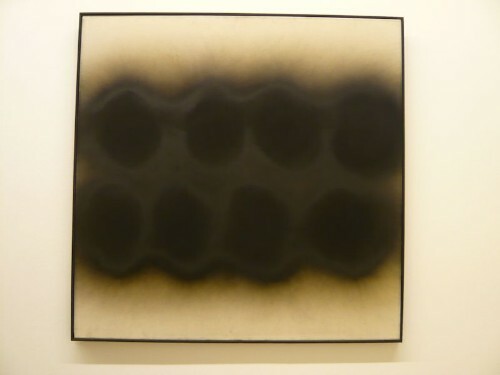 Dynamic Structure (Black on White) by Mack and Two Waves in the Dark by Piene are two of several paintings which exemplify this perspective. 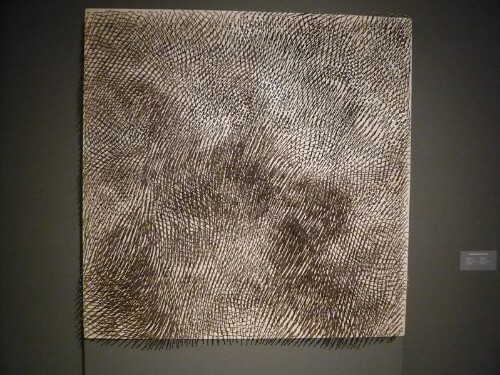 In the hands of Uecker, an ordinary nail became an expressive medium through a play of light and shadow on pierced canvas or everyday objects. 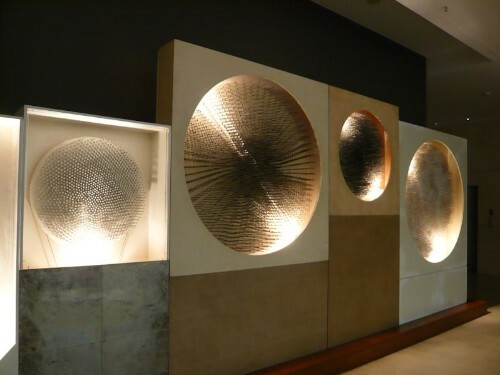 Cosmic Vision/Lightdisc is enchanting from a variety of viewing angles. 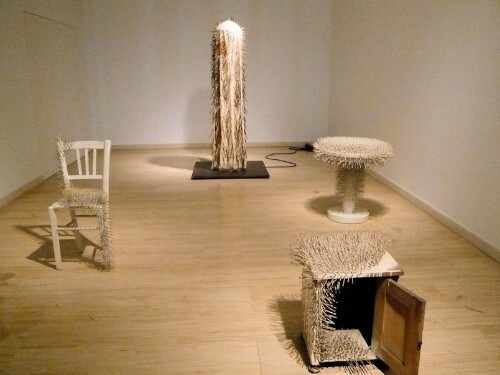 Nailed objects, such as a chair, a table, and a nightstand, are equally engaging. 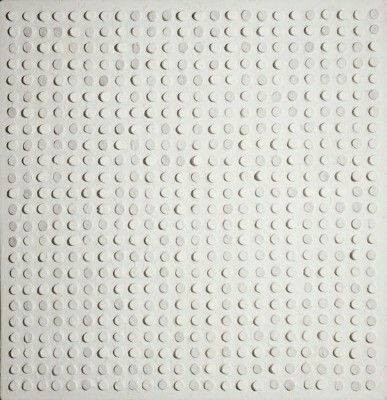 Symmetrical Structure, a repetitive arrangement of nails and plaster on canvas, has a hypnotic effect. 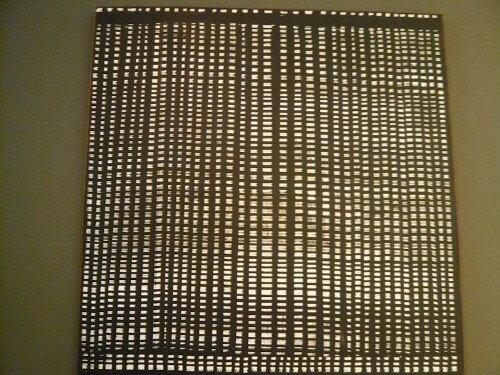 The fascinating play of light and shadow continue in works by Mack. 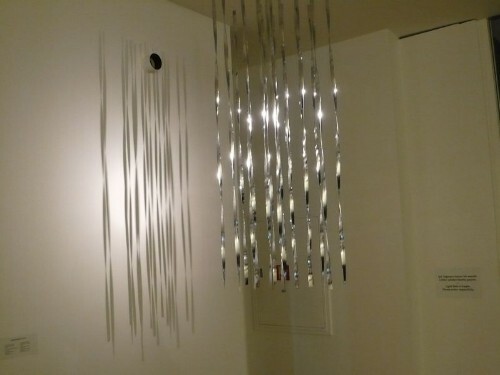 Light Curtain in Space consists of strips of aluminum chrome which sparkle in the air as they cast shadows on the wall. 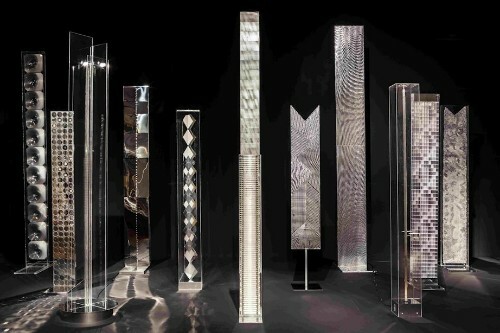 Light Steles, each featuring a different surface pattern, and Light Rain, a dense arrangement of aluminum and Plexiglas rods, are participatory pieces that viewers are invited to walk through. 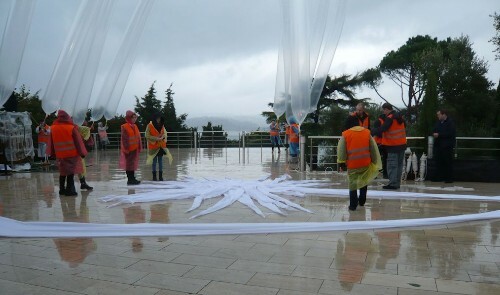 Other participatory works include Piene’s Inflatables, which rise from the ground as they are filled with air. 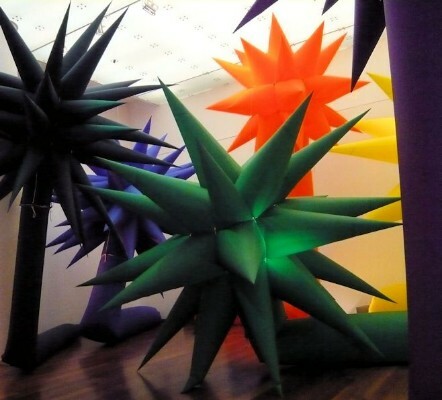 Grouped in the museum’s atrium, inflatable sky sculptures of different colors and sizes entice participants to view them at close range. 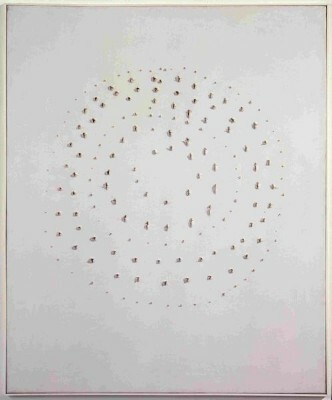 These were Piene’s way of expressing the relief and joy felt when the war ended. 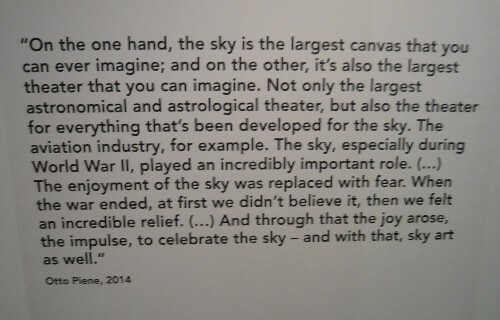 The artist’s impulse to replace the wartime fear of the sky with a joyful celebration of the sky gave birth to Sky Art. During the Sky Event, a conference relating to the exhibition, a panel of four speakers addressed different aspects of the ZERO movement. 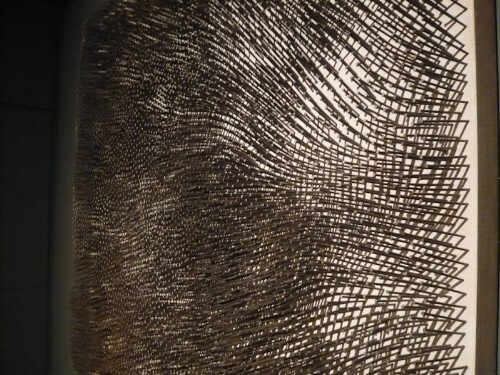 Art critic and curator Beral Madra emphasized ZERO’s connection to electronic and media arts as a predecessor to today’s technology-based arts. 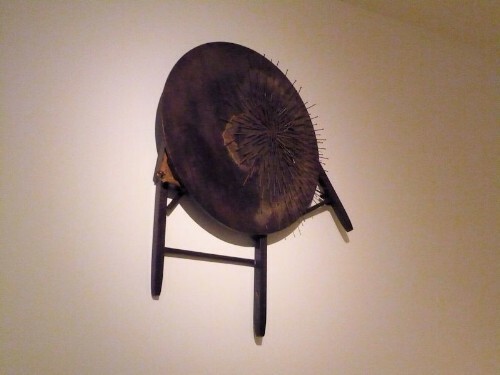 Mark Wigley, Dean Emeritus of Columbia Graduate School of Architecture and curator of the 2015 Istanbul Design Biennial, spoke of the ZERO movement’s continuing role as an incubator, as it took away the limits of “what is art”, expanding the notion of what art can be. 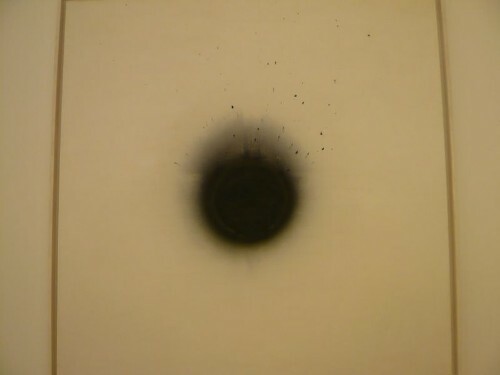 Wigley described Piene’s fire paintings, where damage to canvas became the work. 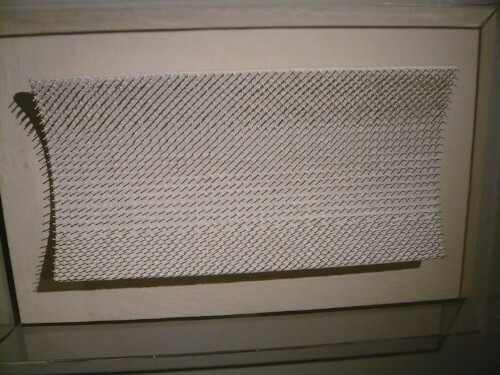 He concluded by stating that ZERO was not about the absence of things, but the possibility of things, citing examples from works by other artists such as Duchamp, Rauschenberg, and Cage. 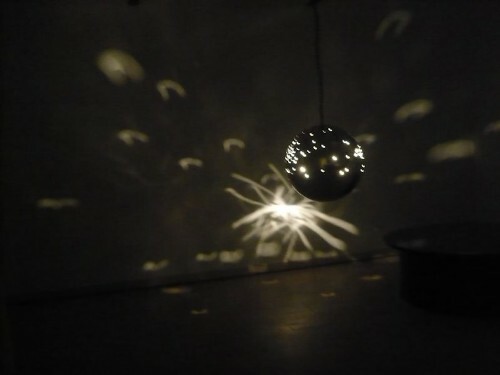 Artist Elizabeth Goldring Piene spoke about the various sky events which her late husband, Otto Piene, had instigated during his time as Director of the Center for Advanced Visual studies at MIT. 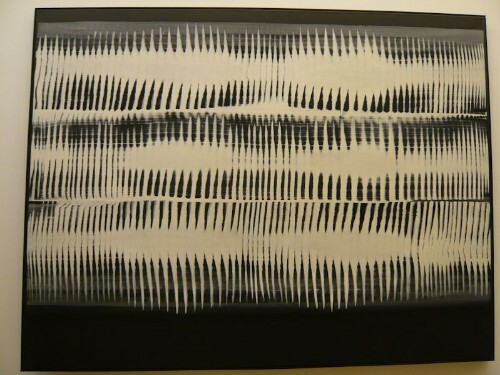 Assisted by Laura Knott, consultant for curatorial studies at the MIT Museum, Goldring commented on video clips and images of Piene’s Sky Art, such as Olympic Rainbow, a 2400-foot-long arch over the Olympic stadium in Munich, and Desert Sun/Desert Moon in the Alabama Hills in Lone Pine, California, where sky art had been accompanied by Sky Cry, incorporating Native American chants and laser images on rocks by Paul Earls. Flying people had been part of Sky Art conferences at MIT and in Munich, where Charlotte Moorman had played her cello as the audience on the ground appreciated the spectacle and music in the air. Another such flight had taken place on the Mall in Washington, DC, with the installation of Centerbeam, involving 22 artists and a performance of Icarus, a Sky Opera by Paul Earls. 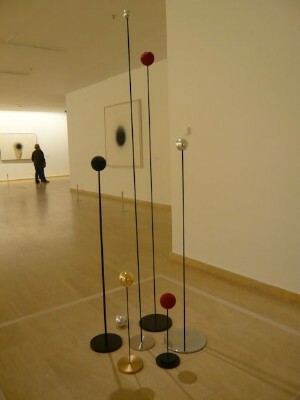 Goldring stressed that, although Piene’s projects had been artistically ambitious, they had always been conceived with a pragmatic view to realization. 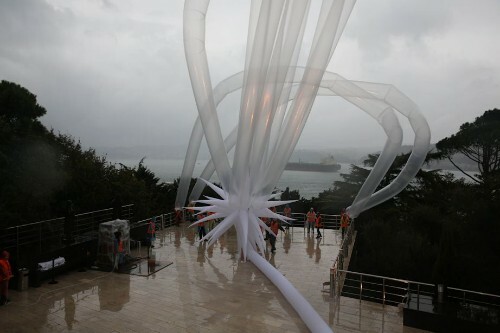 The Sky Event conference concluded the following day with the release into the air of Piene’s White Star from the museum terrace. 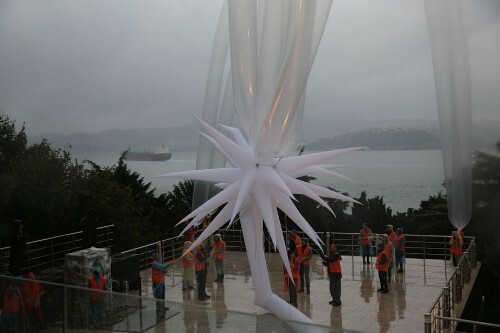 Defying rain and wind thanks to the efforts of a group of artists and volunteer students, the White Star flew gloriously, brightening the gray of the Bosporus sky. 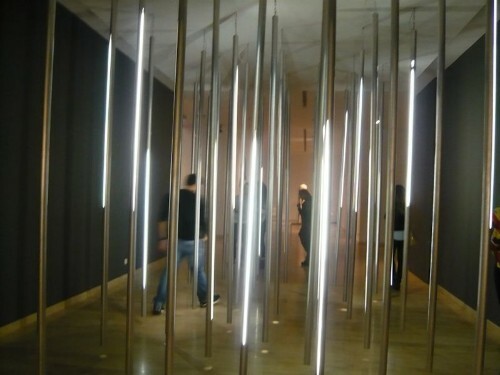 The ZERO exhibition and the Sky Event are timely arrivals in Istanbul with their inherent message of breaking down barriers, overcoming pessimism and looking ahead with hope. Turkey is going through a difficult time, with a war south of its borders, internal ethnic conflicts, and a populace fiercely divided politically. 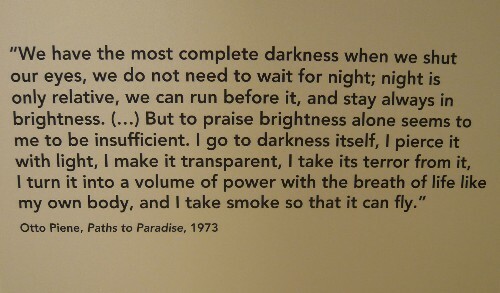 Here’s hoping that the path traced by the artists of the ZERO movement will help Turkish youth find the inspiration they need to begin anew. 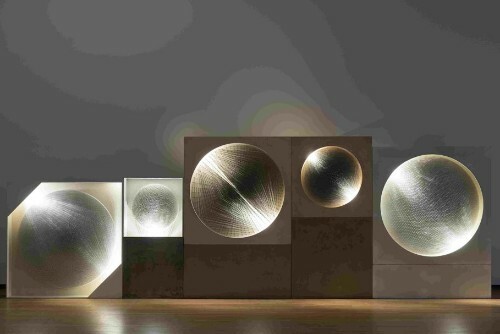 The exhibition ZERO, Countdown to the Future is open until January 10, 2016.